A South Korean baseball pitcher recently charged with driving under the influence of alcohol was suspended for 72 games on Thursday. 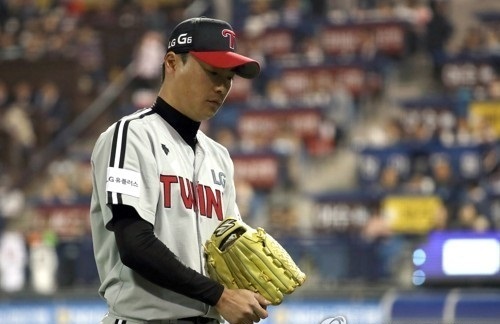 The Korea Baseball Organization also ordered 120 hours of community service for LG Twins' left-hander Yoon Ji-woong, who was booked without physical detention Monday in Seoul. The KBO also issued a warning to the Twins for their lack of oversight. Yoon failed his breathalyzer test following a fender bender near his apartment in Seoul. Police said Yoon's blood alcohol content level was 0.151 percent, enough to warrant the revocation of his license. The legal limit is 0.05 percent. The 72 games are equivalent to half a season in the KBO. The Twins have played 81 games through Wednesday. The KBO said the penalty will be retroactive to Tuesday and will include postseason games, should the Twins make the playoffs. Prior to the KBO's ruling, the Twins banned Yoon for the remainder of the season on Monday and fined him 10 million won ($8,800).